Alec Lightwood: Magnus, you’re not useless. 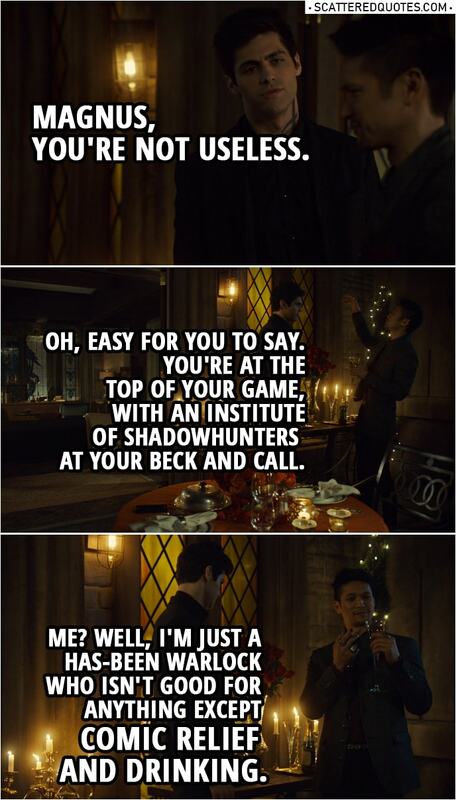 Magnus Bane: Oh, easy for you to say. You’re at the top of your game, with an Institute of Shadowhunters at your beck and call. Me? Well, I’m just a has-been warlock who isn’t good for anything except comic relief and drinking. 10.4.2019 Not good for anything except comic relief and drinking.